Two Vietnamese have been named among Top 100 security researches in 2018 ranked by Microsoft Security Response Centre. 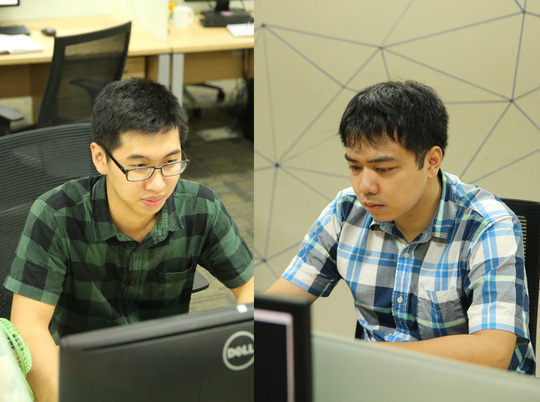 Tran Tien Hung, 29, and Do Quang Thanh, 23, are both from Viettel Military Industry and Telecoms Group’s Viettel Cyberspace Centre, ranked 88th and 97th on the list respectively. Hung found three Windows loopholes which could help hackers to take control of computers and steal user information. The problem affected both Windows 7 and Windows 10. Meanwhile, Do Quang Thanh discovered problems related to graphical user interface which could offer hackers a chance to break into computers to steal private information, including their social network accounts and banking accounts. The top 100 security researchers were announced by Microsoft at the annual Black Hat Security Conference. This list recognises the top security researchers who have contributed research to the Microsoft products and services. The people named in the list were selected from candidates sent to Microsoft from Jul 1, 2017 to June 30, 2018.